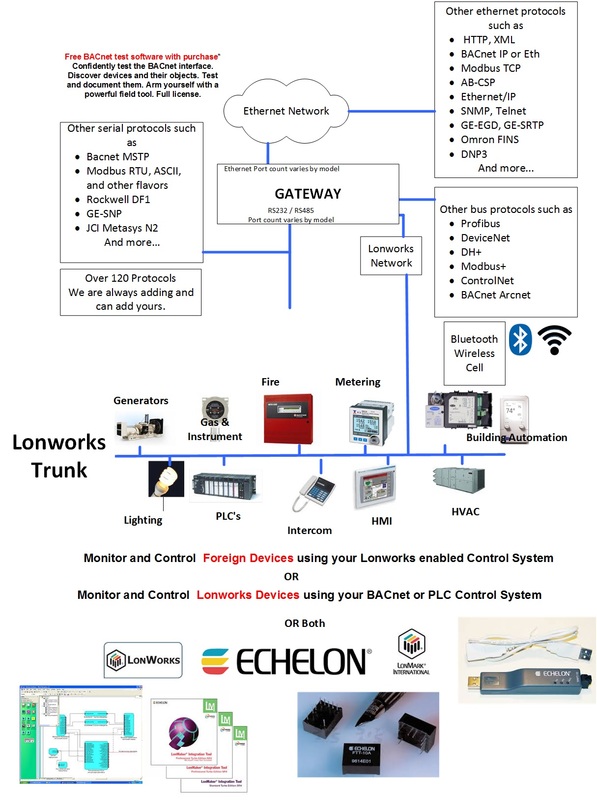 A FieldServer Multiport Gateway that converts data between LonWorks and Data Aire DAP. The Data Aire DART Driver is designed for connection to a DataAire Corporation DART. This driver has been modified for use on intelli-DART units which operate differently to previous DART units. 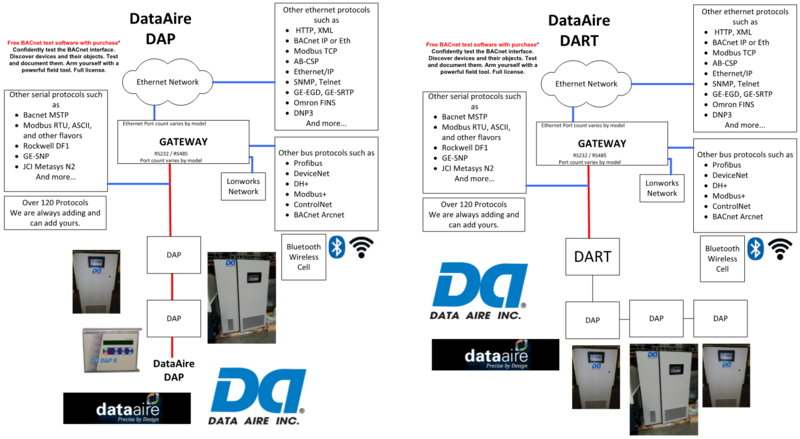 The Dart device is an active element on a network of DataAire devices such as DAP panels. 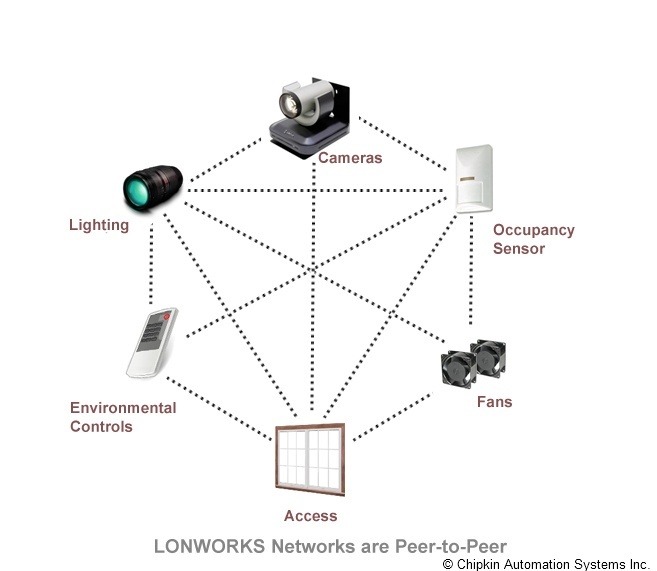 It manages the devices and provides co-ordination and supervision. In performing these duties the Dart device polls all the devices1 on the network for all the data. 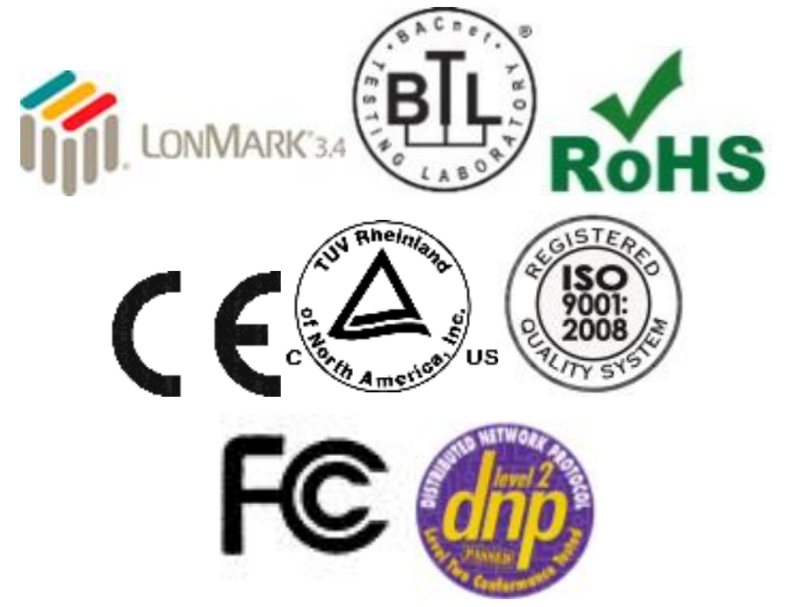 The Dart is capable of ‘echoing’ the responses from these devices on one of its RS-232 ports. This driver is designed to listen passively to these echoes and store device data. In addition the driver can send messages (containing set point data, for example,) directly to individual devices on the network. The intelli-DART driver is not passive, and is required to poll the intelli-DART units for DAP data after login. Logins are required on the initial poll, after 20 minutes, and if polls for data fail. The FieldServer is connected to the RS-232 serial port of the Dart. The FieldServer can read and write but active polling must be minimized as it reduces the amount of time that the DART spends controlling the networked devices. The driver operates primarily as a passive client listening to echoes of the data being polled by the DART. The DART must be manually set to ‘Echo’ mode on the front panel of the Dart for the driver to operate correctly. The driver may be configured very simply (See example 5.3.4). In addition a number of advanced configurations are possible. The manual is divided to separate the basic and advanced topics. The driver supports the common message formats for common DataAire devices. A list of the supported messages is provided in the manual. The driver cannot be used to configure or read the status of a DART device itself.